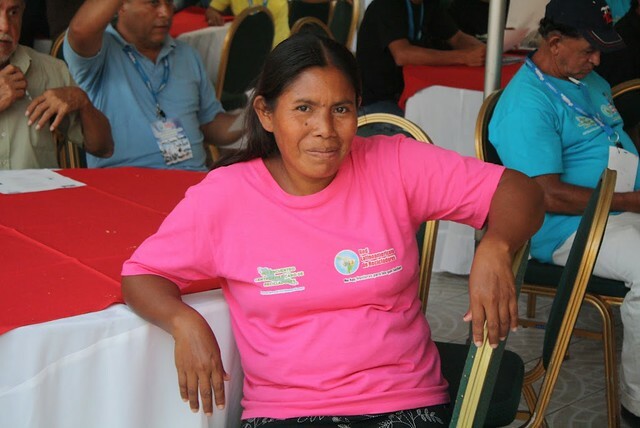 This video capture some of the best moments of the First Central American Waste Pickers’ Conference, held in Managua, Nicaragua in February. The women-run waste pickers’ cooperative Luz del Futuro, which works in the dumpsite of Bluefields, signed an Memorandum Of Understanding with their city government that allows them to work in better conditions when the dumpsite is closed. MIT CoLab has worked with this cooperative for a few years. After an intense first two days, the group drafted the Declaration of the First Central American Waste Pickers’ Conference. It was dedicated to Juana Rafaela Járez Téllez, a waste picker who spent fifty years recycling in La Chureca landfill, which makes her the oldest wastepicker in the entire country. The group employed an impressive democratic voting process for defining the Declaration. One of the highlights of the conference was a focus on gender, when women waste pickers took control of a session during the assembly to focus completely on their own issues. It was the first time gender was taken into consideration by the Latin American Network. Discussions at the conference. Photos by Daniel Alegría. Lucia Fernandez is currently working for WIEGO, and is the new research affiliate in CoLab, contributing to DLab Waste.